Irene serves as Executive Assistant to the Director and as general office assistant. This involves quite a variety of assignments in the USA office. One responsibility that is her greatest joy is compiling the prayer requests for the Together in Prayer daily prayer guide. 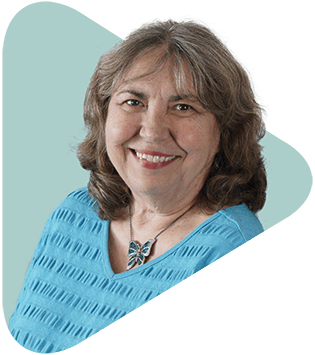 She has a passion for prayer and feels that working on the prayer guide helps her really feel connected to the Global Recordings Network workers world-wide, and also to the prayer partners who receive the prayer guide. Irene came to faith through the ministry of a Baptist Church in Kansas City. That church supported one of Global Recordings Network’s field recordists. This is how she first learned of the ministry. In 1976 her husband Roland, Irene and their four children visited Global Recordings Network, then in Los Angeles, while on vacation. After returning home the Lord really impressed them both with the calling to serve full-time at Global Recordings Network. They sold their home in Kansas City, packed up their belongings and four children and moved to Los Angeles; thus beginning a journey of faith and service in 1977. Irene and Roland have four adult children and five grandchildren. Roland also serves at Global Recordings Network as Shipping Manager.